When you visit YouTube's HTML5 Video Player page -- not in beta anymore by the way -- using the Firefox web browser, you will notice that the browser does not support all of the features listed on the page. While it supports HTMLVideoElement, H.264 and WebM VP8, Media Source Extensions, MSE & H.264 and MSE & WebM VP9 are all listed as unsupported. If you have enabled YouTube's HTML5 player in Firefox, you may notice one limit on the site right away: some video resolutions are not offered on YouTube if MSE is not supported. The 1080p quality is not displayed for instance if Media Source Extensions is not supported by the web browser. While you can go around that right now by using Adobe Flash instead of the HTML5 player on YouTube, it may not always be an option considering that Flash needs to be installed on the system to make use of it. Mozilla has been at work to change that and plans to enable Media Source Extensions in Firefox 31. You can enable Media Source Extensions right away and do not have to wait until Mozilla does so for you by following the guide below. Note: MSE support will only be added on YouTube in Firefox 31 as it stands. While that adds support for the most popular video hosting site on the Internet, it is just the first step to full Media Source Extensions support in the Firefox browser. Type about:config into the web browser's address bar and hit enter. Confirm that you will be careful if a warning message is displayed. Search for media.mediasource.enabled and double-click the name. This sets the preference to true and enables Media Source Extensions in Firefox. YouTube will pick up on that automatically, as will other sites such as the HTML5 Test website. On YouTube, it adds support for Media Source Extensions, and MSE & WebM VP9 but not MSE & H.264 which means that some videos may not yet using this configuration. Update: Check this out for information on how to enable the missing parts. Note that this option may not be available yet in all versions of Firefox. To find out if a video is supported, open it and right-click on it once it has loaded. Select stats for nerds from the context menu, and if you see Dash:yes Media Source Extensions are supported. Media Source Extensions support is a much requested feature, especially since YouTube limits HTML5 video functionality on the site, but also since it will be used by popular video streaming services in the future to move away from plugin-based streaming. How to enable Media Source Extensions in Firefox 31 or newer. If you view the HTML5 Video Page with Google Chrome you will see it supports all of them. Evidently all videos are using that configuration but Firefox doesn’t support it yet. Isn’t there a problem of free-not free in FF ? I really like the way Mozilla has chosen to support H.264: Not directly, but by allowing a device or system that can decode H.264 to decode it within the browser. It keeps the browser away from the intellectual property issues that conflict with Mozilla’s ethos. It’s embarrassing in my opinion. Chrome works completely because it uses proprietary softwares (it is a proprietary software itself). Anyway, it isn’t true anyway. 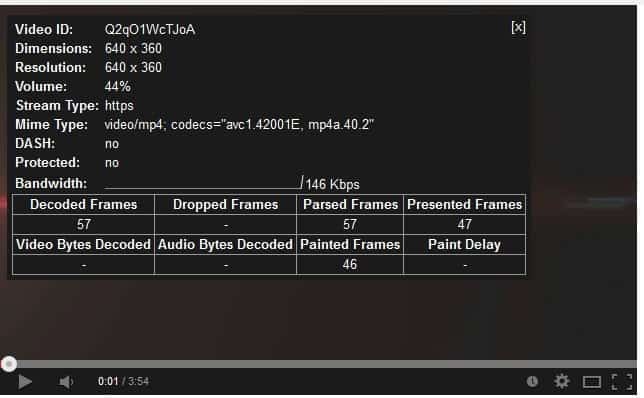 FF can use the system h264 codec. They just failed to implement MSE in reasonable time. What’s embarrassing is that there are people who think Chrome is better. With its watered down versions of Firefox add-ons, selling your personal browsing habits, and tracking your every move. It has nothing to do with the discussion. Nor was it said as such. Anyway firefox is inferior technology wise and is dropping further. This is you and your system, not firefox. I just tried 1080 on youtube; plays just fine and I don’t do nightlies: plain up to date FF stable. I even put subs on: flawless. You still shouldn’t be embarrassed, even though you’re bad-mouthing the good guys. You are using Flash to play videos I assume. The limitation is only there if you switch to HTML Video. I’m not embarrassed, but you should be. You failed to even comprehend the difference between HTML5 video and Flash. It works in Firefox 29. I only needed to change ‘media.mediasource.enabled’ to ‘true’. On the Youtube browser support page all sections are now green apart from ‘MSE & H.264’. I am using Firefox 29 in Linux with gstreamer enabled. How do you enable gstreamer ? 1. I am using Ubuntu 12.04 LTS. I have not used flash to watch Youtube videos up to 750HD since last summer. 1. Type about:config into the firefox browser’s address bar and hit enter. 2. Confirm that you will be careful if this is your first time. 4. Make sure it is set to to true (which means enabled). In the Ubuntu terminal ( open with ctrl + alt + t ) type these lines separately. Press enter after each line of code. 6. Install the following Firefox extension (to view Youtube videos) to avoid joing the Youtube HTML5 trial. 8. Restart Firefox. It is unlikely that you will need to restart your computer, but if these steps do not work restart. 9. Now test it with the flash plugin deactivated. From Firefox 24, you can view Youtube without flash without joining the HTML5 trial. Test it on non-Youtube tube videos such as Dailymotion.com and this test video. An icon can be dragged from Menu Bar→View→ Toobars→Customize to a toolbar and clicking it can turn flash on and off. There is also a setting in the extension which in theory re-activates flash when you leave Youtube. These instructions will enable you to watch 99.9% of youtube videos without flash up to 750HD. You need to disable flash before that is possible and install the extension quoted or join the ‘Youtube HTML 5 trial’. 2. However, I owe you all an apology. I have tested ‘media.mediasource’ in more detail. In Firefox 29 (Linux), it is NOT advisable to set ‘media.mediasource.enabled’ to ‘true’ because there will be no sound for the 1080HD version of the video in Firefox 29 (Linux). For example, with the video quoted below, in theory you can watch it in 1080HD (without flash) with ‘media.mediasource.enabled’, but there is no sound. However, there is sound with ‘media.mediasource.enabled’ set to false at 750HD. There appears to be something still missing from Firefox or gstreamer to allow viewers to hear the sound on 1080HD videos without flash. I am sorry about the long explanation. Readers who do not use Linux may not understand. A priori there is no use installing an extension and desactivating flash (it may be dangerous, other sites use it and some Youtube videos work only with it. The author seems sure that you can now use HTML5 in 14.04LTS. Actually, I am already using gstreamer1.0-libav in 12.04LTS in Firefox 29. That is what ‘ sudo apt-get install gstreamer1.0* ‘ installs. However, I do not use 14.04 LTS, so I cannot speak from experience. Any further problems are probably going to be specialised Linux issues. It may be better to post them on a Linux Ubuntu forum. I have been doing some more research into the ‘gstreamer1’ point, which you raised. Gstreamer1 support is indeed due to be added in Firefox 30 . At the moment there appear to be quite a few bugs in gstreamer1. However, fortunately Youtube only needs gstreamer0.10 at the moment. You already have the link for instructions to download gstreamer0.10. It is possible that gstreamer1 may not be enabled by default in FF30 and you may need to amend ‘about:config’. I do not know for sure. However, it is better to check that. If you only want it to see HTML5 videos on Youtube, it may be easier to just use gstreamer0.10 until gstreamer1 is enabled by default. You can read more about the bugs in gstreamer1 on these link. That point about HTML5 not working until until Firefox 30 does not sound correct. There is no mention of it anywhere else on the web apart from that one link. It does not make sense. Afterall, I am using an older version of Linux (12.04 LTS) and I have not used flash on Youtube since Firefox 24. When I enable this on FF29.01 in Win8.1 after 32 sec it mutes the sound but continues to play the movie. Common problem? Hi thx for this interesting article, could you help in identifying why this video https://www.youtube.com/embed/GBaHPND2QJg works fine on chrome, but does not have any sound on firefox. In both I’m opening it with html5 player. On Chrome it says that the format is webm vp9 and on firefox is says that this is video/mp4; codecs=”avc1.4d401e” when I display advanced statistics (right click on the video) on both browsers. In case none mentioned this. If you enable media extensions “media.mediasource.enabled true”, then you will NOT see the direct link to video in about page window. They are harming to fragment the video and prevent direct video feeds, keep them disabled if possible.